Say ‘I do’ at one of the South’s most beautiful resorts. 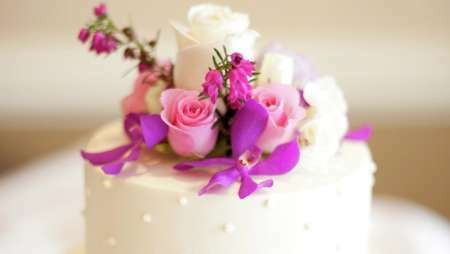 Our planners, full-service catering staff, florists and cake artisans can turn your big day into a dream come true. Let our Catering Department at Beau Rivage set the scene for your big day and plan the perfect event for you as you begin this special time in your life. A world of endless possibilities awaits you at Beau Rivage, including the experience of an incomparable array of guest activities, enhanced by extraordinary AAA Four Diamond service. Let our professional staff orchestrate your event, from the rehearsal dinner to the ceremony and reception. And you can join with friends and family as they wish you well with a special bon voyage breakfast or brunch. Our Gulf-side settings and elegant ballrooms are available for a remarkable daytime ceremony or a breathtaking sunset ceremony and evening reception. Please let us know if you have any questions or wish to begin planning your event. Professional, full-service catering staff and menu, floral arrangements, wedding cakes, locations that can accommodate a large or small affair.